We have some amazing offers for Valentines Day 2012. Teeth Whitening is no longer an expensive procedure reserved only for the rich and famous. Everyone has their own, unique reasons for wanting brighter, whiter teeth, be it to look better for a holiday or for a special occasion like a wedding, or just to feel better. At Express Whitening, we bring you the next generation of teeth whitening technology. We will help you realise your dreams of brighter, whiter teeth with our revolutionary new laser power teeth whitening system ensuring you receive the best service and superior results every time. Treatments available in your own home or in selected beauty salons in your area. Please call on 07745 528 273. Alternatively Contact Us and we will get back to you ASAP. All staff are professional, fully trained laser whitening technicians ensuring you receive the best service and superior results every time. Yes, that is correct with our unique laser system your teeth can be up to 22 shades whiter with just a 1 hour appointment. 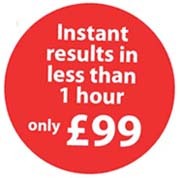 We are offering this at a reduced rate at present of only £ 99.00. Congratulations! You really want to look your best on your special day and especially for your photos. We offer various discounted packages for bridal parties of all sizes. This is a further saving of £20.00 each on our current, already reduced price! Group Party Discount Special Offer! Get some friends together and all have your teeth whitened and in only a few hours, you and four of your friends can achieve fabulous, confidence boosting smiles. Great if you are going on a Hen Night or any other celebration! A great saving on our usual price! Please contact us on 07745 528 273 to make an appointment for your free consultation.